Colorado Colleges And Universities | About Colorado | Colorado's unofficial tourism site and travel planning website. Your Colorado vacation and business trip resource. The Air Force Academy is a university and training ground for the future leadership of the U.S. Air Force. While much of the facility is geared towards the students and the Air Force, there are several interesting facilities that are open to visitors. These include a visitor center, church, football stadium and a B52 that was flown from 1952 to 1983. 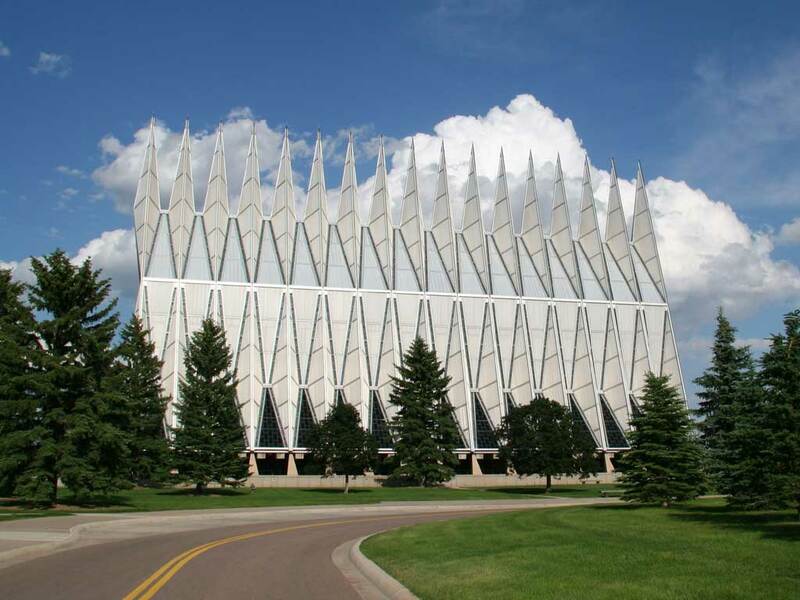 Set in a pristine location in close proximity to Colorado Springs, Colorado, the Air Force Academy is easily reached by guests and visitors. Read on to find more about the Air Force Academy.